The models EA 117, EA 118 and EA 119 are the task chairs in the Aluminium Group by Charles and Ray Eames. Five-star base in die-cast aluminium, with a polished finish. Adjustable backward tilt, lockable in the forward position. Continuous seat height adjustment with gas spring. The tilt mechanism in the seat can be adjusted to the weight of the user, providing for optimum comfort. Covers are available in a wide variety of colours, making it easy to find the perfect chair for every home office. 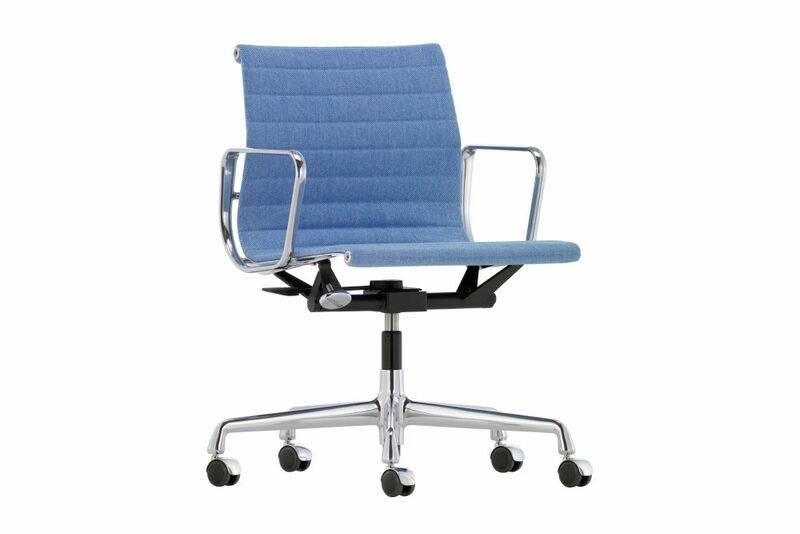 The Aluminium Chair EA 119 is distinguishable from EA 117 and EA 118 by its higher backrest. EA 118 has a somewhat narrower seat, and the sitting position of this model is more specifically suited for table-oriented activities.